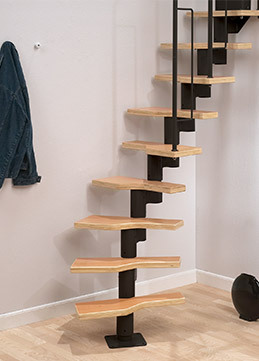 Smart storage in a new dimension. 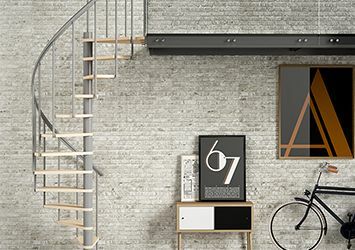 Discover the innovative ceiling storage system. 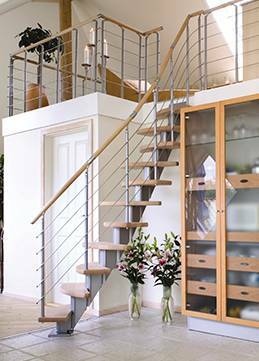 The new generation of loft ladders with patented click-modules. Many roads lead up ... and of course down again. 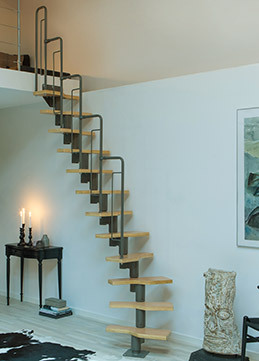 With DOLLE Stairs, spiral stair, loft ladders - always open to you! 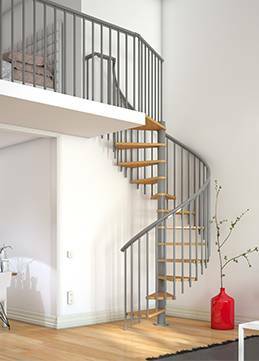 Discover our range of staircases, outdoor stairs, banister rail systems, loft ladders, fencing and much more. 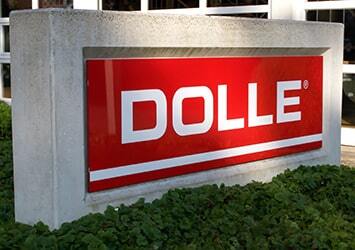 See also DOLLE's innovative smart storage system BEAM-IT-UP. 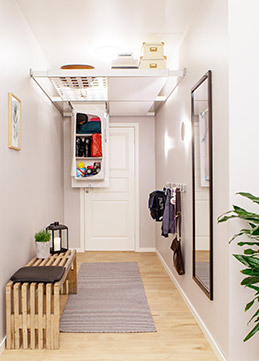 Drop down ceiling storage for hallways or smaller rooms in elegant design. Would you like to know more about our company? We are active worldwide and are constantly innovating and evolving, please read on here and discover the world of DOLLE. Do you have any further questions or do you need us to make a more bespoke solution to your specification, then please fill our contact form and we will come back to you as soon as we can. 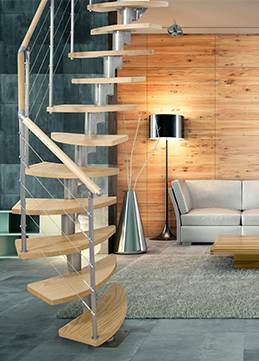 Have a look at our Montréal kit stair configurator, - space saving spiral staircase. 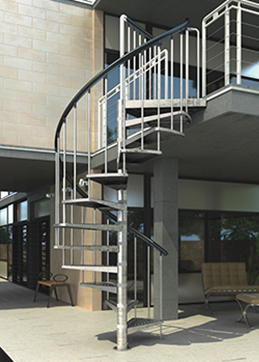 Here you can design your own specification and your personal requirements.